You are currently browsing the archives for the tag 'Rice Rice Baby'. 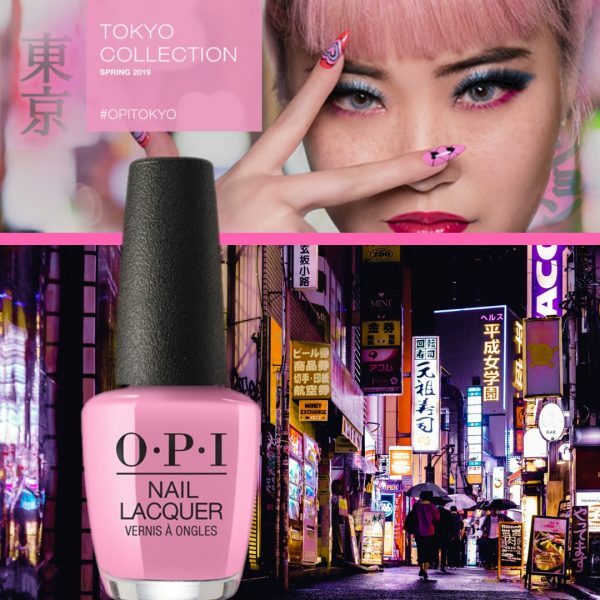 Tokyo is one of the top trendsetting cities in the world, so it should come as no surprise that OPI has selected the vibrant metropolis as its inspiration for the OPI Tokyo Spring 2019 Collection. Inspired by the city’s balance of rich tradition and nature with fashion-forward style and ultra-modern cityscapes, this palette features a variety of colors that evoke the energy and creativity of Tokyo. The collection features 12 new shades in classic Nail Lacquer, Long-Wear Infinite Shine and GelColor formulas. With a nod to Tokyo’s status as a trendsetter, the collection includes a new take on millennial pink with dusty rose shades featuring tones of lavender and lilac (Rice Rice Baby, Another Ramen-tic Evening, Arigato from Tokyo, Hurry-juku Get this Color!). 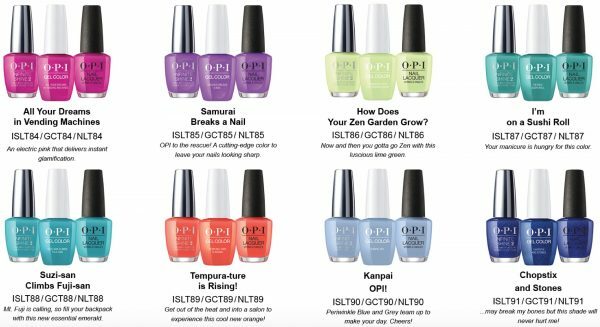 Rich hues inspired by nature from matcha green tea to blooming gardens (How Does Your Zen Garden Grow?, I’m On a Sushi Roll, Suzi-san Climbs Fuji-san, Tempura-ture is Rising!) 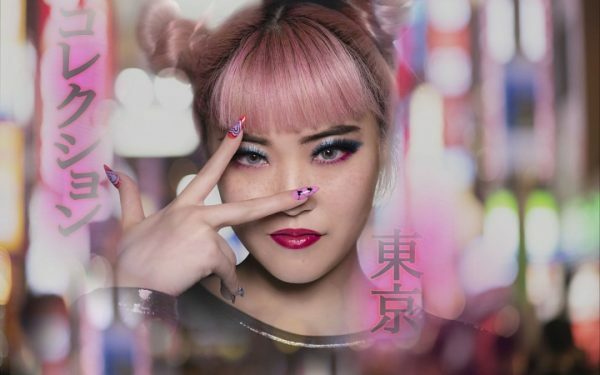 and vibrant purple and blue hues with metallic shimmer that capture the city’s electric energy and nightlife (All Your Dreams in Vending Machines, Samurai Breaks a Nail, Kanpai OPI!, Chopstix and Stones) round out the collection. The collection will hit the shelves in Switzerland on February 14, 2019 and will be available for approximately 6 months.